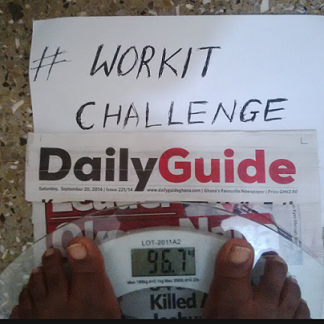 Results after week 7 of the #workit weight loss Challenge. Ghen Ghennn!!! *Playing 24 series soundtrack* Lol! That's how I feel right now because the smoke that is emanating from these women ehhhh!!! Its like the whole thing just got hotter. 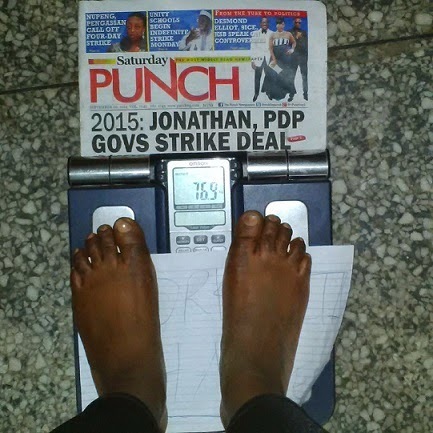 No, I am not exaggerating o, oya see for yourselves......But first, Happy new week! 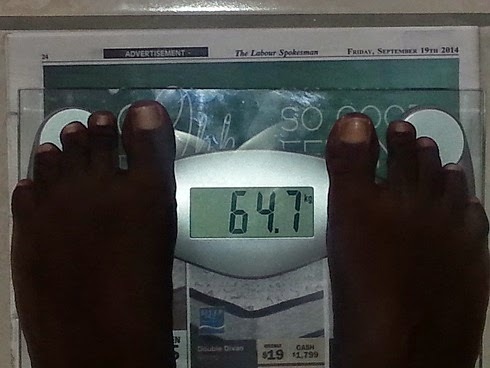 Tess, currently @ 76.9kg : From 81.8kg. Front view (You may wish to crop out your head) lol for security reasons Hahahaha! 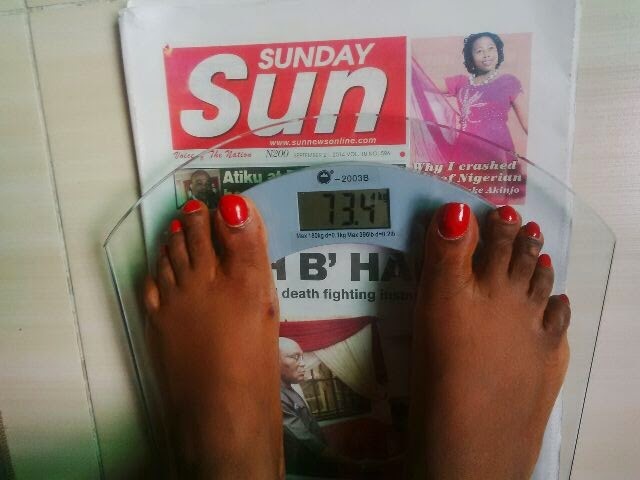 Scale pic with the newspaper like you did here. If you measured parts of your body before the challenge, also send that to me with your current measurements. I dont know why this skipped my mind, it should have been part of the requirements.. Neck, Bust, Under bust, Waist, Hips, Inner thighs and Upper arms. Isaiah 40:31 But those who wait for the LORD shall renew their strength; they shall mount up with wings like eagles; they shall run and not be weary; they shall walk and not faint. 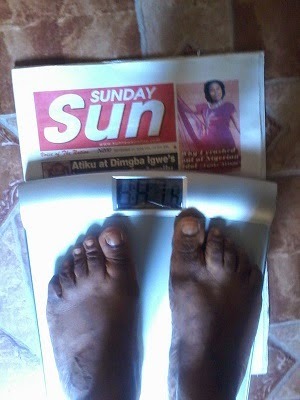 P.S: By the grace of God, another weight loss challenge will begin in the coming months. A great opportunity for those that want to lose some weight and feel good. So guys, be ready! Amen o! My dear Fina thanks a bunch. may God bless you abundantly nne. You too are next. Lol. I have put your name down in my big book. Thanks Abbie. I have your name too. Lol! Flora my fellow sufferer. 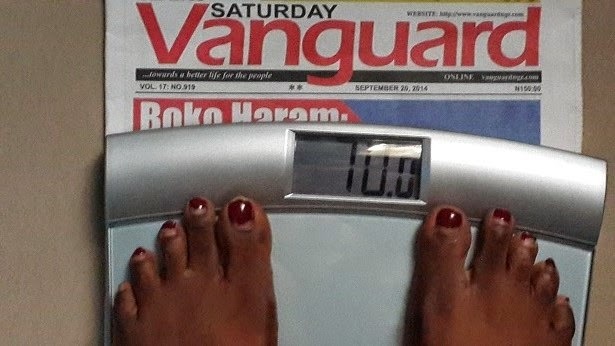 E just be like say na d same mama born us for this weight loss thing. Just beats me as to why one will do wat others are doing and not get the same results as them. But u know wat dearie, the victory is in refusing to give up. Dont ever give up. 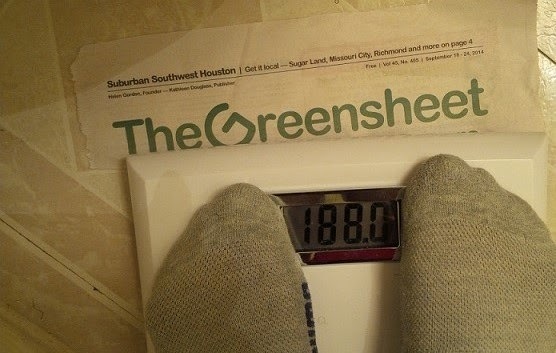 That scale will one day budge. Lol. It is well. Flora is seeing results with her clothes tho. The Lord is your strength. Who is this pls? Yes o Nena. One of these days we will. Thanks dear. You have done great keep it up! Wow!!!! !Well done and Congrats to everyone.And of course a very big thank you to Cheliz,you really don't know how much God has used you to change my life and the lives of many others i'm sure.Only God can reward you. Amen and thanks a lot Wunmi. 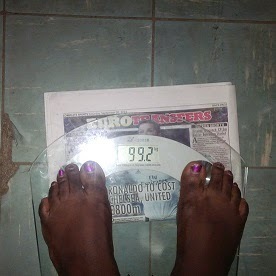 For real, I am amazed at your results o, i didnt think you will lose this much weight, you sure proved me wrong. I love your determination. Big hugs to you and God bless! Lol! Nothing will stop you this time by the grace of God o. Cheers.